Supplí are a Roman street food. The first time I had these was when I visited my mother and younger brother who were living in Rome. They were, quite simply, amazing. 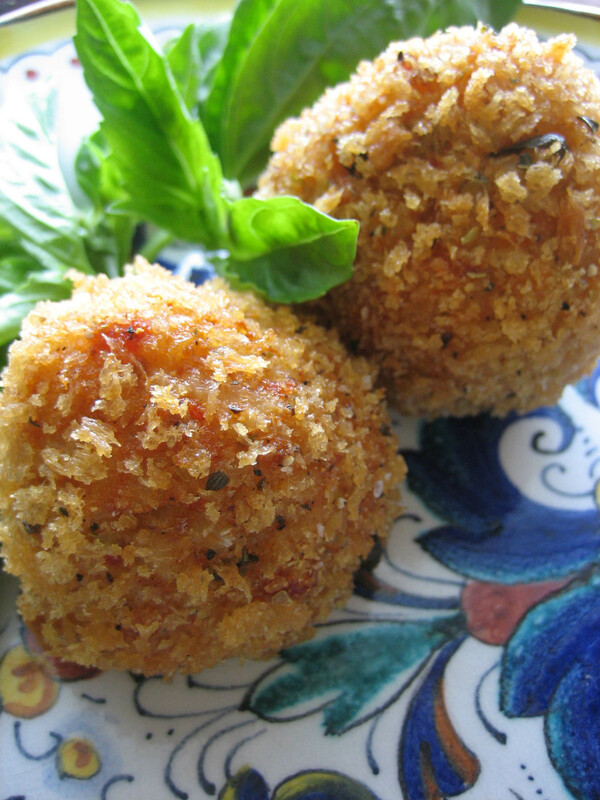 What isn’t to adore about a fried Arborio rice ball filled with cheese? Americans really have nothing that compares. I’ve been making them for years; however, no longer willing to eat dairy cheese, I had to improvise. 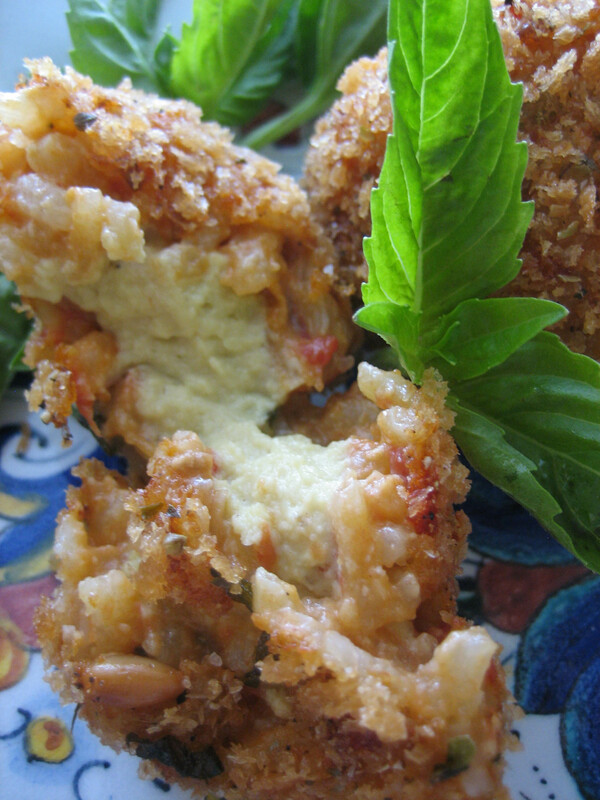 Break into the hot and crispy fried rice balls and find an oozy creamy cashew cheese tucked inside. Mold some risotto flat in your hand and place some cashew cheese in the center. Fold the risotto around the cashew cheese, encasing it completely. Roll the rice ball in the seasoned bread crumbs. Fry at 350 degrees until golden brown. Serve while hot.